When Anik decided he wanted to make the drive to Seattle from Chicago in preparation for our big move, I was a little hesitant. Let’s be honest – reluctant. I wasn’t excited at the prospect of sitting in the car for hours upon hours and driving through what I thought would be empty fields of corn. Of course I was wrong…again. South Dakota might be a little empty, but it’s a surreal experience driving through rolling plains for miles at a speed limit of 80 (forreal). I underestimated the state’s beauty, but I’m sharing it with you so that maybe one day you’ll decide to make the drive. 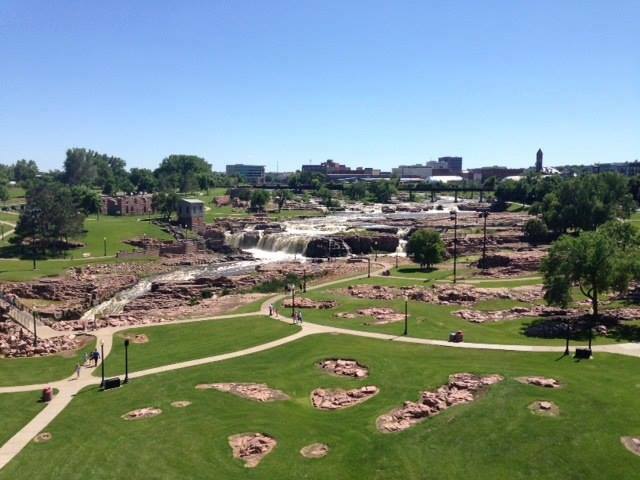 Our first stop in the Great Plains was Sioux Falls, South Dakota. Our initial plan in Sioux Falls was to stop by for lunch and rush out to our next destination. However, as Anik and I started talking, we figured there had to be some sort of falls that give the city it’s name. Hopped onto TripAdvisor and of course there it was: Falls Park. 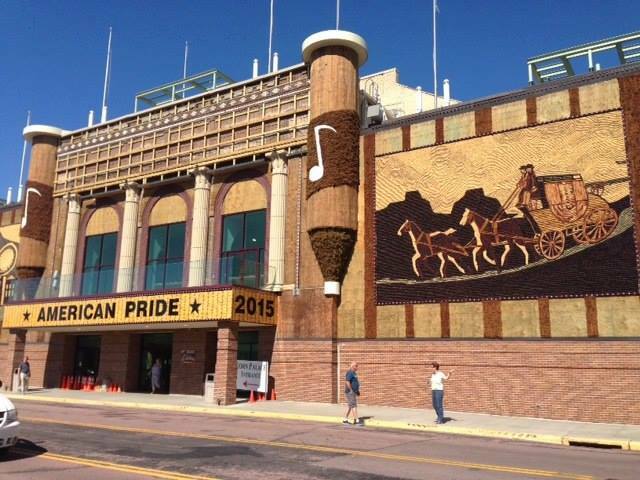 As I was talking to a coworker about the road trip he mentioned Mitchell’s Corn Palace. Sounded intriguing enough, so we swung by to see what the buzz was about. To our surprise, there were many others who had the same idea. The scene was a bit bizarre: a town that seemed it had been frozen in time where the highlight was an auditorium that was decked out in corn kernels and husks. Pretty random, but we couldn’t pass up the potential for popcorn galore (which unfortunately didn’t work out the way we hoped). 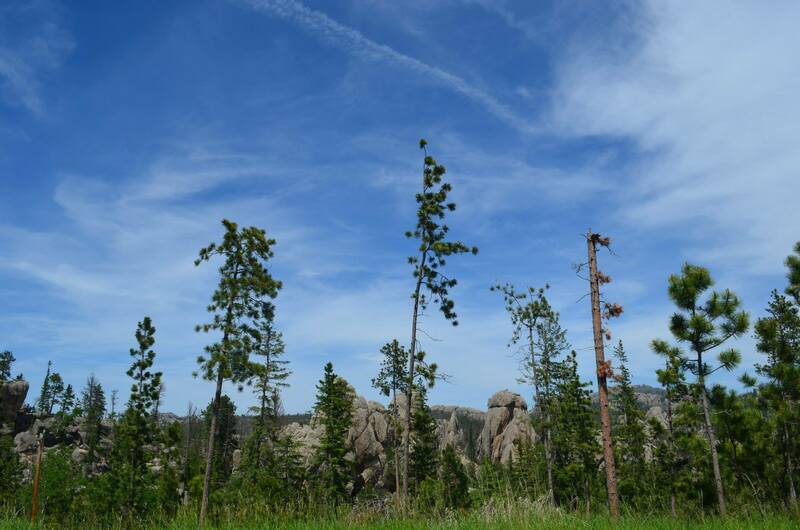 We continued our 8-hour stretch of driving to Rapid City, SD. There was so much to see that we spent two nights there so we could maximize our time. Our first stop was the most well-known: Mount Rushmore. Seeing photos of this place doesn’t do it justice. The detail and scale of it is out of this world. To think that the Borglums made this structure without the luxuries we have today makes you appreciate it even more. 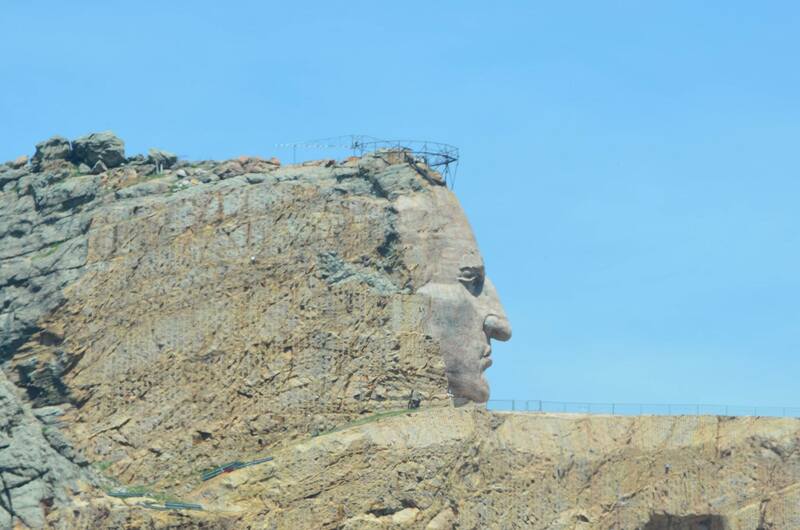 We then stopped by Crazy Horse Memorial. It’s mind-blowing how long it has taken to develop the structure. So far only the face is complete, but the project started in 1948. Artist Korczak Ziolkowski didn’t want the government to fund the project and most of his family is completely invested in its completion. This memorial is expected to be significantly larger than Mount Rushmore. 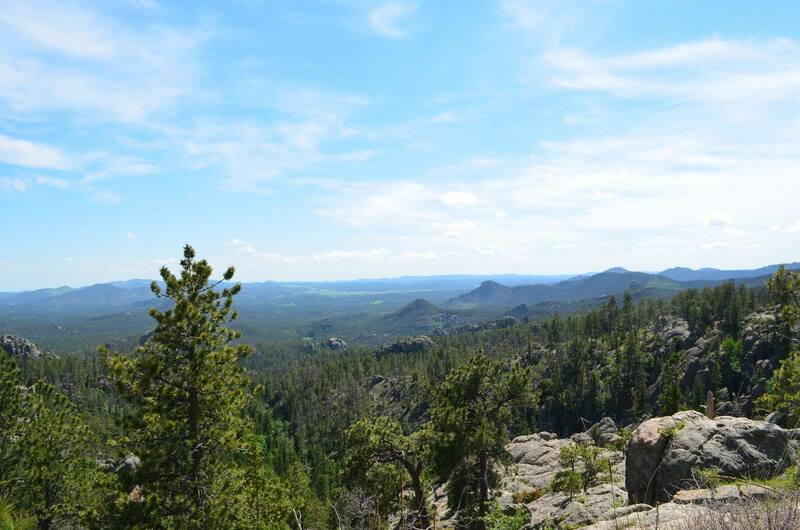 We love driving and decided to make the haul up Needles Highway. Its name comes from the “needle-like” stone structures that exist along the highway. This is a pretty strenuous, uphill drive with tight corners and tunnels. 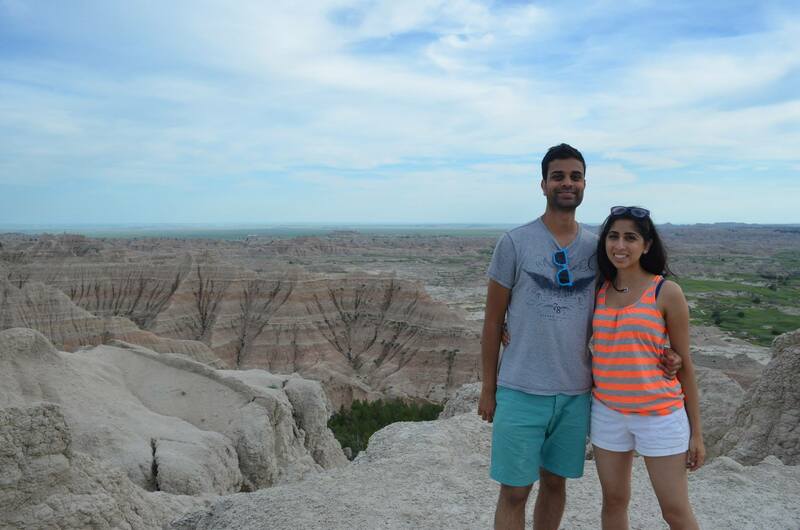 However, the views from here were amazing and made me appreciate Anik’s persistence to bring me to South Dakota. 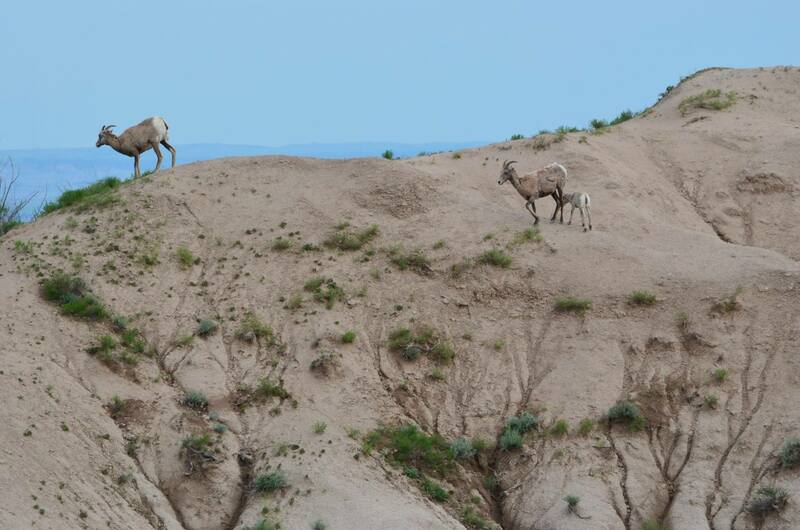 Our last and very favorite stop near Rapid City was Badlands National Park. This national park is pretty large and has several lookouts, offering something unique at each stop. 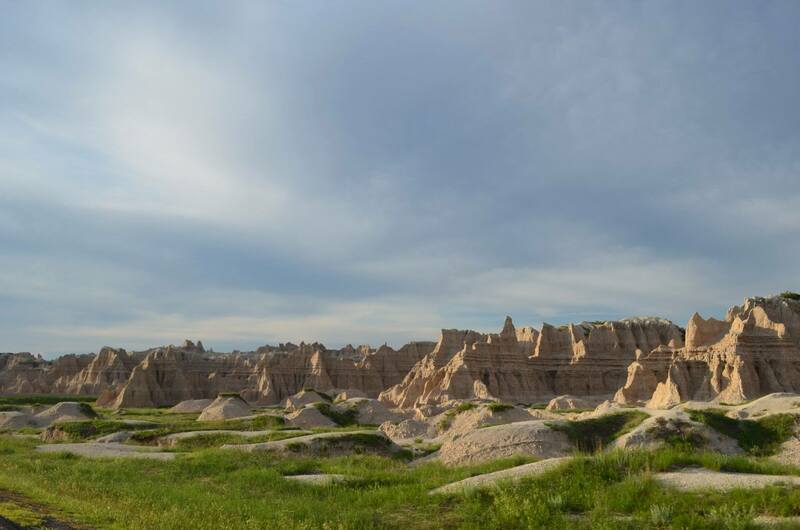 The stone structures look almost alien-like and are nestled completely within flat prairie. We were lucky enough to explore the area at the tail end of the day, giving us beautiful lighting, especially for photography. I’d encourage others to try and snag a sunset view. We wrapped up our day with a few local brews at Independent Ale House and even got great tips on local spots to visit in Seattle from our awesome server who had just relocated from there. 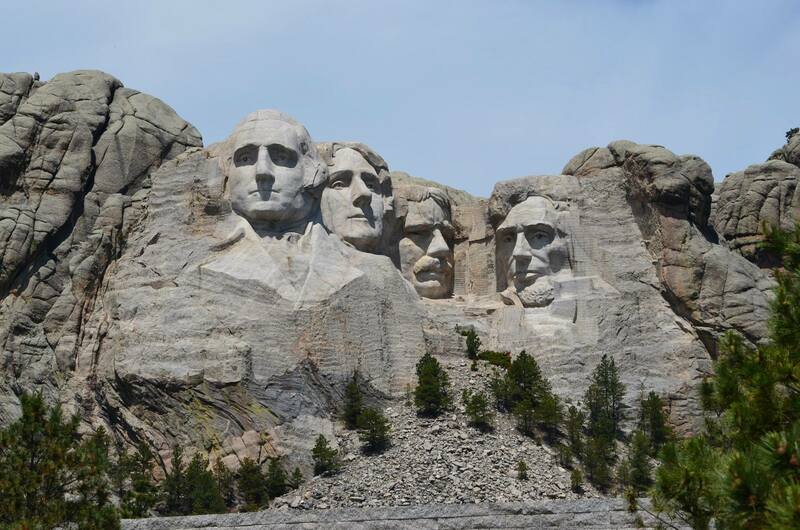 All in all, South Dakota left me very surprised and I’d encourage anyone who has the opportunity to explore the Mount Rushmore State.